Last year, Carol and I made a trip to the Holy Land! Little did we know that it was going to be one of the best experiences of our lives! We have always wanted to go to Israel, every preacher does, but it proved to be far better than we could ever imagine. It is indeed life changing! After visiting Israel, the Bible became more real to us. Yes, it’s a powerful book about God’s dealings with man, but when you see for yourself the actual places where the Bible stories took place, it makes the Bible more alive and brings the stories closer to your heart. After Carol and I returned and shared our experiences with the church, several expressed interest in taking a group from our church to the Holy Land. I only wanted to return if we could travel with Dr. John Delancey, a pastor from Pennsylvania who has lead over 50 trips to Israel. John led our group last January and I couldn’t imagine going with anyone better qualified. We also had an excellent Israeli guide named Shlomo, who was very experienced and easy to understand. 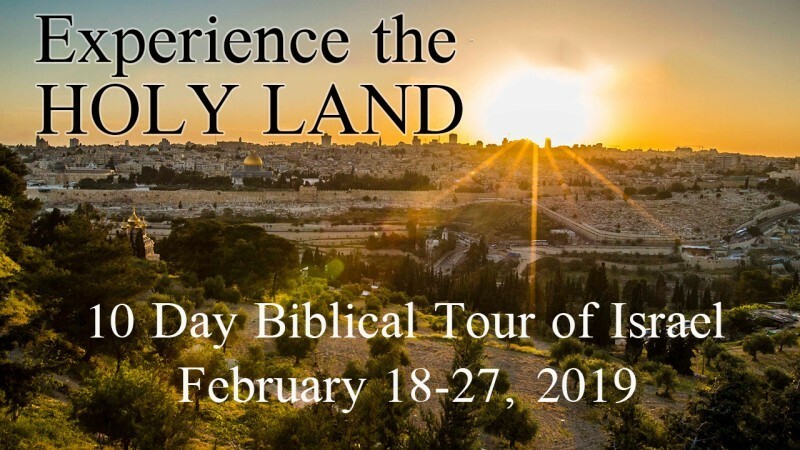 I’m excited to announce that we have planned a trip for February 18-27, 2019. In just one year, you have an opportunity to experience a life-changing trip to the Holy Land! And John and Shlomo will be our guides! Please click on the link below for a brochure of our ten-day trip. Printed brochures are also available in the church foyer. John Delancey has a great website that is an excellent resource for those interested in learning more about Israel. Please click the link to his site and learn for yourself what kind of guide we will have. Please let me know if you are interested. You can email me at joe@rowlandsprings.com. This trip is also open to your friends and family members, or anyone who wants to go with us. If you have any questions, please call me at 770-655-0439.